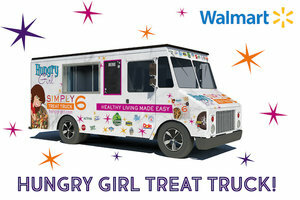 The Hungry Girl Treat Truck Is Coming to Town! ⭑ Booklets with HG snack ideas, exclusive Simply 6 recipes & more! Click here for the tour dates, and keep reading to see what’ll be on board! These vegetarian frozen entrées are lifesavers! They’re protein packed and ready in minutes. And thanks to the Treat Truck, you can try before you buy… then use your coupon to save money on ‘em when you fall in love! Almonds are a perfect emergency snack -- the fiber, the nutrients -- and NOBODY knows almonds like Blue Diamond. Snag a sample of the Whole Natural Almonds, and check out all the fun flavors BD offers! Our longtime favorite milk swap will be along for the ride! Just 30 calories per cup of the classic Unsweetened Vanilla. Come try our special smoothie! Support your digestion in a delicious and satisfying way with Activia! There are so many ways to enjoy it: Greek, Fruit on the Bottom, Lactose Free… even drinkable yogurt that’s great on the go! Find your new favorite, and stock your fridge STAT. Skip the overpriced smoothie shop versions… Frozen Dole Açaí Bowls are pre-packed perfection! You’ll get to try one of those or some frozen Dole Sliced Strawberries in a yummy smoothie sample. Newsflash: Sardines are an amazing source of protein, healthy fats, and calcium. Season Brand Sardines ROCK, and the Treat Truck is the perfect opportunity to give 'em a try! And of course, we’ve got recipe ideas to take home with you. This creamy, flavorful spread is a classic. Whether you’re using it in recipes or simply topping your favorite toast, I.C.B.I.N.B. is an M.U.S.T. Pssst… You’ll LOVE the exclusive recipe for our 6-ingredient Shrimp Scampi Z’paghetti! Whether or not you’ve gone gluten-free, you need Mary's Gone Crackers. They’re crispy, delicious, and made with wholesome ingredients. Don’t miss our tasty tips for snacking on Mary’s Gone Crackers… So much yum! It’s no secret that stevia is our go-to sweetener: It has ZERO calories, NO artificial ingredients, and ZERO grams of sugar per serving. We love that Stevia In The Raw Bakers Bag measures cup-for-cup like sugar… No conversion needed to use it in your favorite recipes! Looking for an indulgence you can feel good about? These super-tasty light & crispy cookies are made with REAL ingredients like raspberries, bananas, and more. Plus, they contain no artificial colors or flavors, and no high-fructose corn syrup. Snag yours from the Treat Truck! 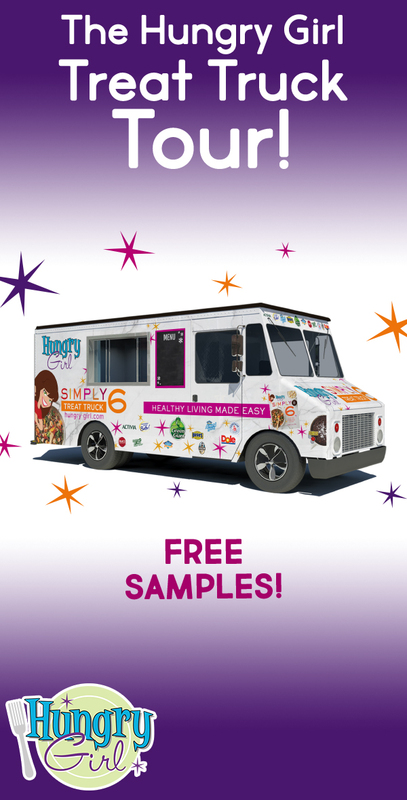 Find a Simply 6 Treat Truck Event Near You! The tour kicks off next week in Florida… Click here for the full schedule! Supplies at each event are limited, so don’t miss out. Today, March 22nd, is the United Nations' World Water Day. Read up on how you can help the UN meet its goal of fresh water for all! Click "Send to a Friend," and find a buddy to hit the nearest Treat Truck stop!